The MINIX NEOS SERIES models that are shown here can be used in business environments, they have for example auto-power on, which means that they can be covered easily. This makes them very suitable for digital signage project, for example. PLEASE NOTE: the shown prices are including VAT. 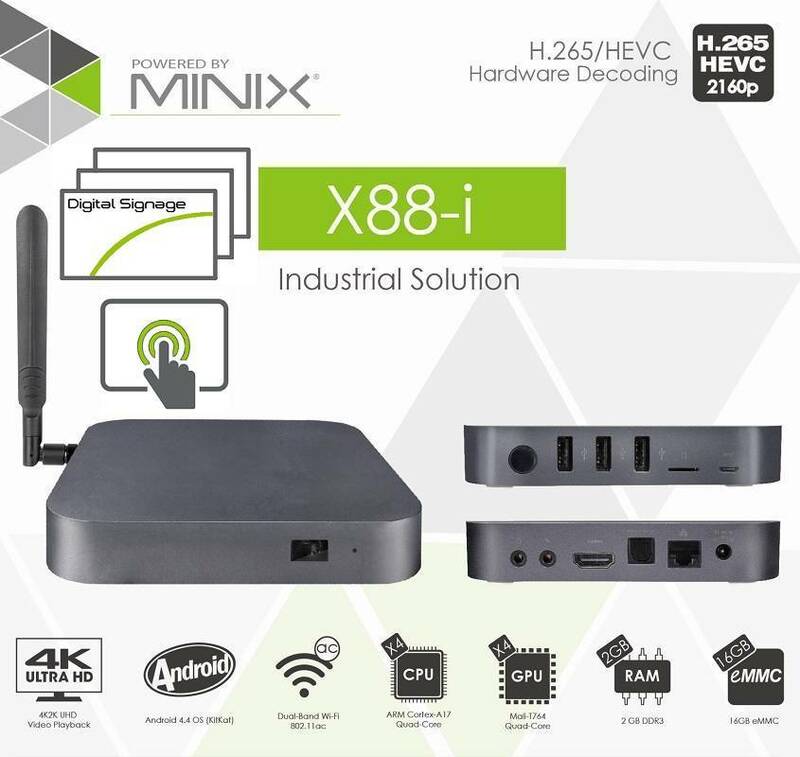 We also have a MINIX X88-i Industrial/Business Edition, which has been produced especially and exclusively for the European market. This version has a landscape/portrait display mode by default, auto-power on (if you like), a complete aluminium casing to free the heat in case of continuous use, and HDMI 1.4b output (4K to 60Hz display possibility). If you want to start a custom project with the MINIX X88-i, this can be done thanks to the cooperation with our partner HardwareGuru, the Android firmware/apps developer. 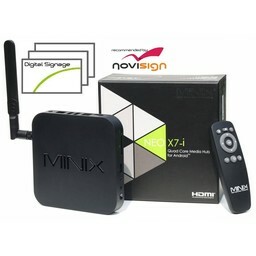 The MINIX NEO X88-i can be used with iiyama touchscreens. NoviSign is a young and dynamic company founded in 2011 with a vision to further the digitalization of signs in every corner of the globe, adapting it to all types of companies and organizations. NoviSign Digital Signage is an independent software as a service (SaaS) that enables the managing of dynamic campaigns from the cloud to any IP-based sign anywhere in the world, easily and efficiently.